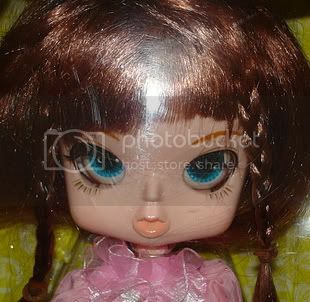 I am currently having a bit of a struggle in doll world. 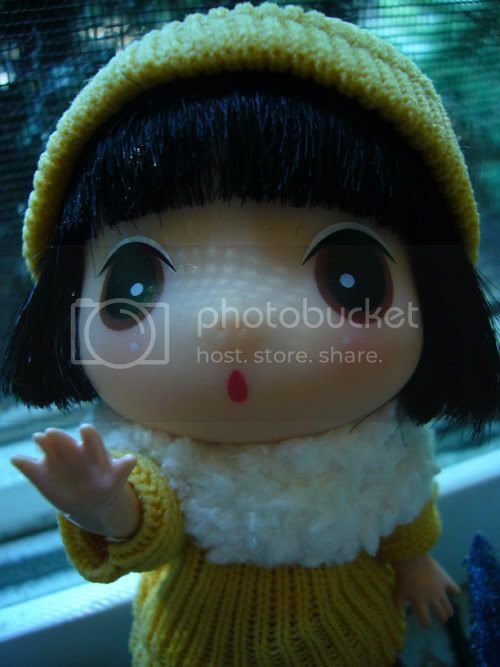 I have come to the point that i am worried of owning too many dolls. But the want to purchase a new one for custom work is a strong desire. I am speaking of the Byul clone that i am currently working on raising money for. I have considered possibly selling my 25cm soft bust obitsu body to raise money for this new project. And that would mean putting Wolfy into storage. But what i have done, is to try and figure out what makes the byul clone doll so ugly.I think that i have figured it out! I spent some time messing around with things digitally, and i have found out a couple of things. Still a far cry from the real thing, but i think i am getting somewhere. I was right when i assumed that her eyes were too small for her sockets. But what i have done is actually open up the eye sockets even more, and re-shape them a bit wider over all. Her cheeks have been "sanded" down so they are more round rather then pointed. Her lips would need to be carved down and reshaped intensely. She would need large eye chips added. And last but not least...her nose would actually need to be totally removed and reshaped and repositioned! p.s. 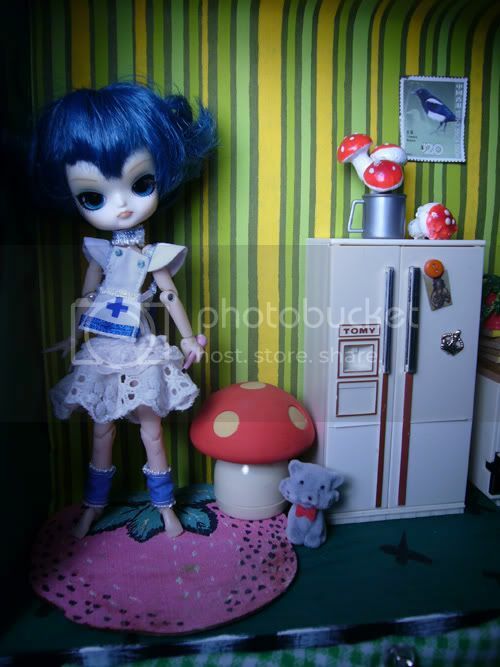 also preparing my first handmade BJD project. Well i have got two exciting things to talk about today. 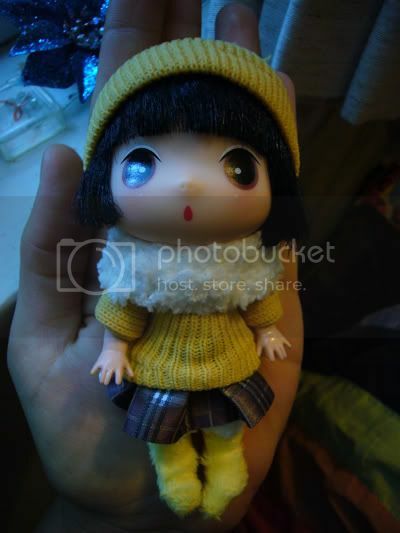 The first thing being that my little Ddung doll arrived in the mail! And she is just so cute. Much more adorable n real life for sure. The first thing i did when i got her unpacked was take the key chain out from the top of her head. I was able to just pull it right out with no troubles. Though it did leave a hole in her hat, and i am assuming...a hole in her head as well. I say assuming, because i am not able to actually remove her hat from her head. Or her clothing for that matter! Just as i figured, her clothing is hot glued to her body-And as per usual with a lot of the cheaper dolls...her clothing is mostly made up of scraps of fabric that have been hot glued together. 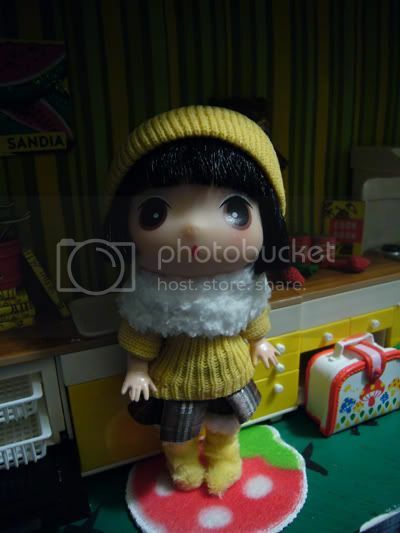 Keep in mind that i only paid a few dollars for her, so i was not expecting high quality. 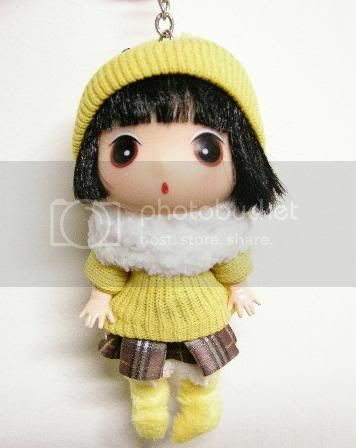 Though i am very pleased with the quality of the doll itself. She has moving arms, legs, and head. And her hair is rooted and appears to be full. The curious cat inside me wanted to cut her clothing off and check out her hair without the hat...but i think i have decided to leave her just as she is. I mean, you can't get much cuter then the clothing she is already in. Plus it would be a horrible pain to try and get the glue out of her hair and off her body etc. 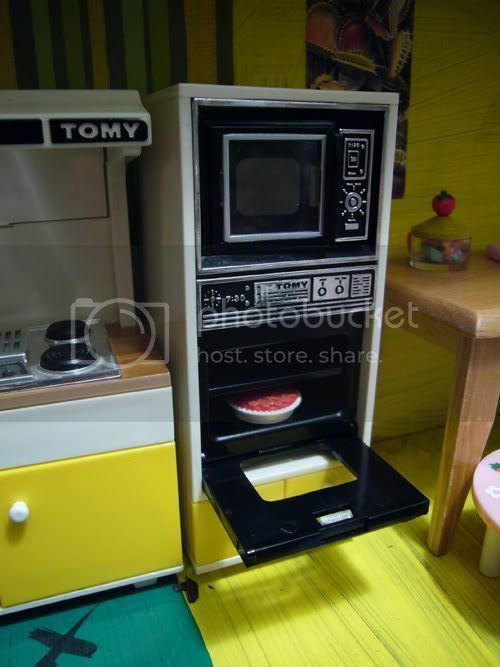 My stove and microwave unit have arrived :D So my little TOMY kitchen set is complete - though i am still on the lookout for the extra parts that i need. So, you can most likely guess that i love the Byul dolls. But i am actually more thrilled about the clones. They are HIDEOUS! >:D I think that they are so...weird looking, that they are interesting. I am saving money to hopefully get one. I only know of one person that has them for sale. I even had a dream that i sold one of my dal clones to earn money to get a byul clone before they are gone forever. hehee. I feel confident that i could really change her around. 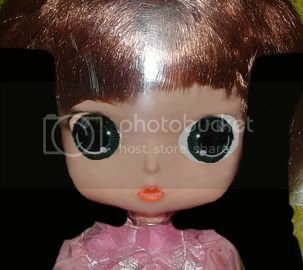 I think the trouble with these clones is that the eyes are not large enough for the sockets that have been cut. 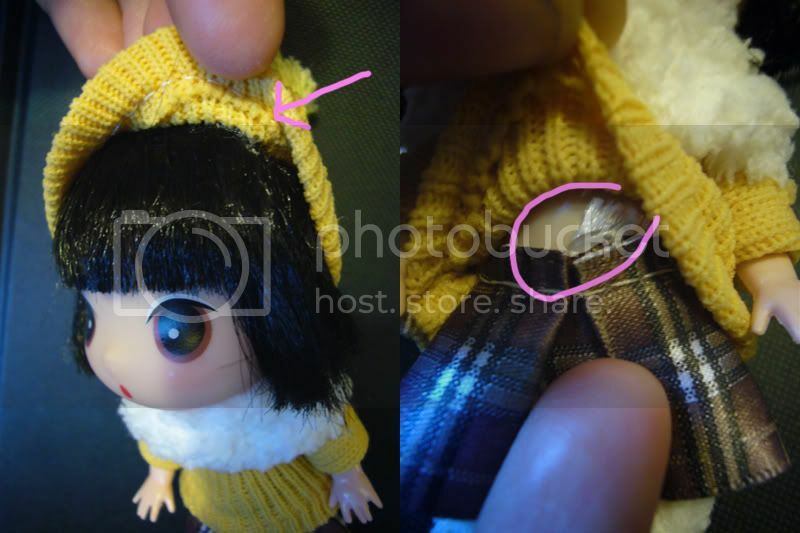 It seems that they possibly just stuck the eyes from the dal/pullip clone heads into these? 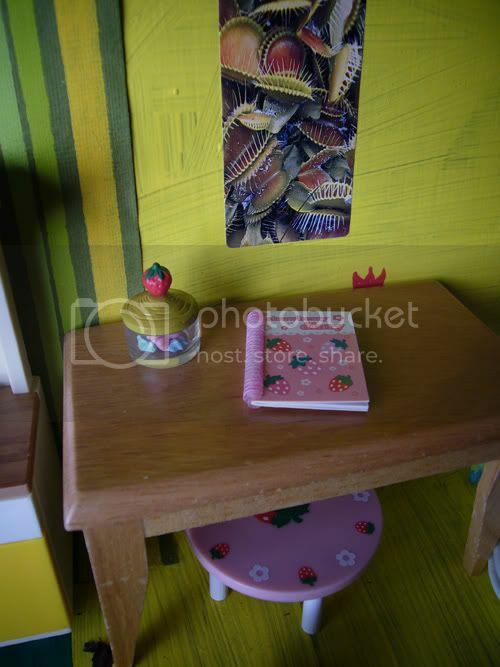 I have contacted the seller to see if there are any left. 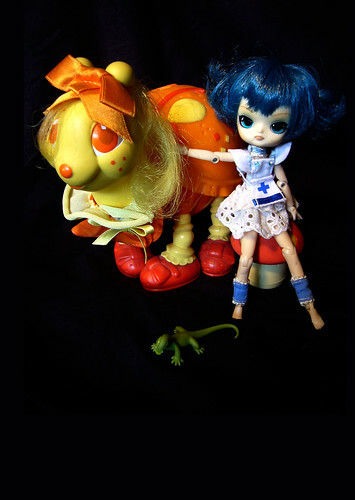 Just a tiny little thing this time though.. .
She is a "Ddung" dolly. I fell in love after watching the cartoons. I will take her with me in my bag where ever i go. Hope she gets here quick! Time to catch up on what been going on in my dolly world. 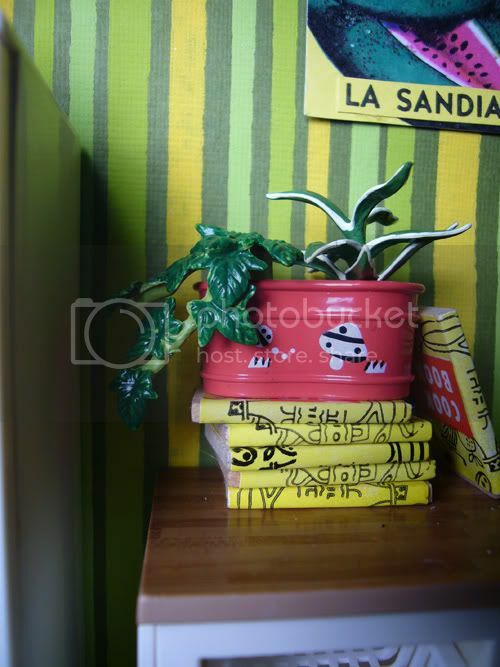 . .
adorable house plant. 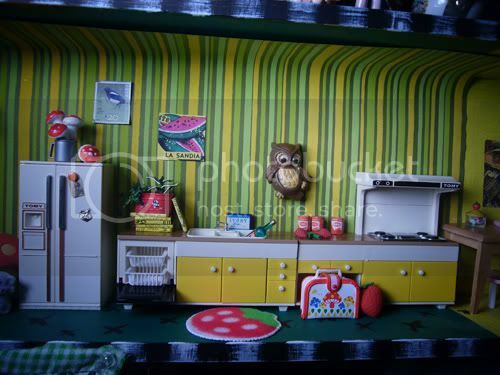 It is perfect for my doll's kitchen! 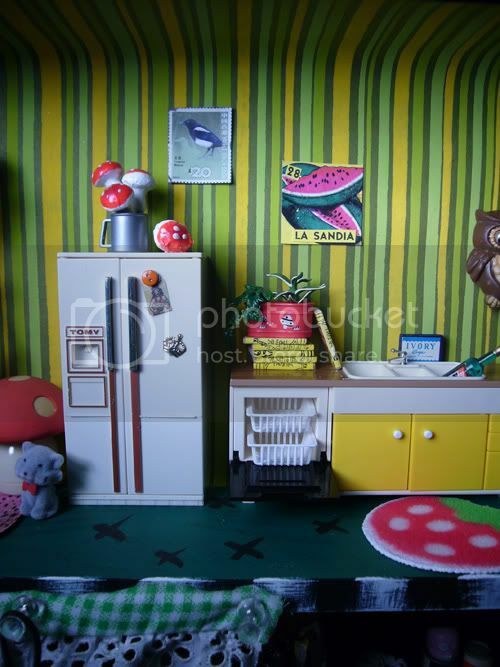 And a few parts from the re ment strawberry set. The journal is so cute!